Seriously, can we just stop this argument now? Some of you know nothing about how the industry works, and until you do; there's no room for ignorant comments, judgements, assumptions, and otherwise ridiculous opinions. 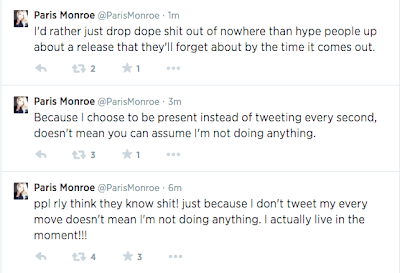 NO ONE tweets their every move unless they're desperate for attention. 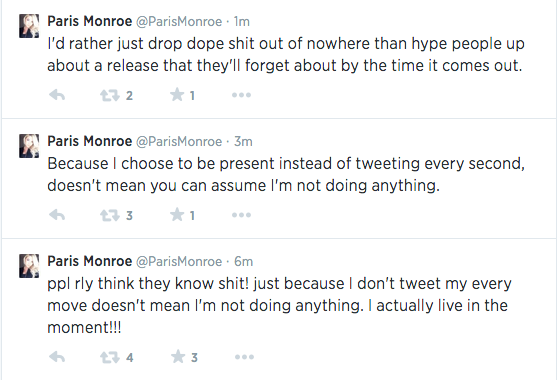 And besides that, Paris has tweeted and otherwise made mention of going to the studio and writing and recording and everything else; and if you're just not paying attention to those mentions, that's your own fault. But leave the girls alone.